Let’s start with the games that kicked off everything – the original Innovation Games® from the book. Then you can scroll down and find other collaboration games that have been created on the amazing Conteneo platform. This game can be played in a number of ways. Prior to inviting players, the facilitator can add apples to the tree to label them to represent an existing product roadmap – each apple is a feature on the roadmap or a project in a program. Ask players to move the apples or delete them in order to shape the roadmap. You may reserve some apples to allow them to add new ideas. You can also use the tree to show time. For example, low hanging fruit is “sooner” in time and fruit place high in the canopy is “later” in time. Consider using the roots to show ideas that are related to infrastructure and again, time can be shown based on placement. Roots closer to the surface are sooner, and roots deeper in the ground are later. Think about how you may want to use red apples vs yellow apples – you may want to use them to distinguish between feature or program types. You may want to use the bananas to allow players to add really big or crazy ideas that are outside of what may be considered “safe” or normal ideas. This is another version of the game, but this one includes rotten apples that can help you identify what you might want to fix in the future. Prune the Product Tree is a great collaboration framework for eliciting feedback from customers. This version is adapted for conference/event offerings. How to Play: Red Apples are benefits you expected — and got! Rotten Apples are benefits that you expected — but didn’t get. Presents are unexpected benefits that made the conference great. Here is the [popup url=”/wp-content/uploads/2011/04/ProductTree-IG.txt”] HTML code[/popup] for you to post on your site. See the post on Tastycupcakes.com and Scott Sehlhort’s post for more info on how to play. How to play: Lightbulbs represents the projects to prioritize. The y-axis is the value of an epic or story and the x-axis is the cost. Players responsible for assessing the value provided by a project focuses on getting the light bulbs in the right place vertically, while players responsible for understanding the costs puts each project in the right place horizontally. We’ve collaborated with the Gamestorming team on this game, based on work by The Grove. How to play: Suspend all disbelief and envision a future state so stellar that it landed your organization on the cover of a well-known magazine. See the Gamestorming post for complete details. Here is the [popup url=”/wp-content/uploads/2011/04/CoverStory-IG1.txt”] HTML code[/popup] for you to post on your site. The Empathy Map is one of XPLANE’s methods for understanding audiences, including users, customers and other players in any business ecosystem. How to play: Drag icons from the top left onto your empathy map. Use smiley faces to indicate what would make your persona happy. Use grim faces to indicate what would make your persona concerned. Use frown faces to indicate what would make your persona unhappy. Here is the [popup url=”/wp-content/uploads/2011/04/EmpathyMap-IG.txt”] HTML code[/popup] for you to post on your site. We’ve collaborated with the Gamestorming team to bring you this online game. Objective: Select the best ideas as a group. How to Play: The game is a 2×2 grid in which the X-axis denotes the originality of the idea and the Y-axis shows the ease of implementation. Now/Blue Ideas – Normal ideas, easy to implement. How/Yellow Ideas – Original ideas, impossible to implement. Wow/Green Ideas – Original ideas, easy to implement. In this game, lightbulbs will represent your ideas. Here is the [popup url=”/wp-content/uploads/2013/07/HowNowWowUpdated.txt”] HTML code[/popup] for you to post on your site. How to Play: Ask players to reflect on what was positive/repeatable about an activity and capture their thoughts under the “plus” column using “plus” icons. Ask your players to denote what they would change under the “delta” column using the “delta” icons. Here is the [popup url=”/wp-content/uploads/2011/04/PlusDelta-IG.txt”] HTML code[/popup] for you to post on your site. One of the 12 games that started it all. How to Play: In this game, you have 25 anchors to share with your fellow players. Anchors represent what is preventing your product or service from being as successful as it could be. The game will help you keep track of just how bad each anchor is. This game can be played with colleagues or customers and is designed to understand problems and issues. The first step is to define what the boat represents; typically your product or service offering, a process or even a role or job function. Ask your players to use the anchors to identify problems, things that hold them back, or “drag”. Remind them that the deeper the anchor, the worse the problem. Here is the [popup url=”/wp-content/uploads/2011/04/SpeedBoat-IG.txt”] HTML code[/popup] for you to post on your site. This is a framework to help teams improve their processes by categorizing their feedback as tools, processes and other. How to play: Rocket ships represent opportunities. The fit person represents strengths. The weak person represents weaknesses. The bomb represents threats. Here is the [popup url=”/wp-content/uploads/2011/04/SWOTAnalysis-IG.txt”] HTML code[/popup] for you to post on your site. This retrospective game is based on Nick Oostvogel’s Actions Centered. How to Play: Drag icons onto the chart and describe them. There is a different icon for each of the 5 categories: Puzzles – question marks; Wishes – stars; Actions – fists; Risks – bombs; Appreciations – happy face. Here is the [popup url=”/wp-content/uploads/2011/04/ActionsforRetrospectives-IG.txt”] HTML code[/popup] for you to post on your site. We have collaborated with Diana Larsen to bring you this retrospective analysis game. How to play: Blue squares represent ideas. Drag them to the circles and describe what they signify. The three circles categorize aspects you control, can influence and must adapt to. Here is the [popup url=”/wp-content/uploads/2011/04/CirclesandSoupFinal-IG.txt”] HTML code[/popup] for you to post on your site. on the FranklinCovey Sales Opportunity Overview. How to Play: Simply put post-it notes on the various regions of the image to capture your notion of the opportunity. Use different colored notes to represent different aspects of the opportunity. This is a great game to play with sales teams trying to help each other win deals! Here is the [popup url=”/wp-content/uploads/2012/01/HTML-FranklinCoveyOpportunityReview.txt”]HTML code[/popup] for you to post on your site. This game from Diana Larsen and Esther Derby’s Agile Retrospectives is great for iteration retrospectives. How to Play: There are four icons representing different aspects of your retrospective analysis: frown face – what you didn’t like; happy face – what you liked; light bulb – ideas you should try; bouquet – people you appreciated. Drag icons to the matrix and describe what they represent. Here is the [popup url=”/wp-content/uploads/2011/04/LearningMatrix-IG1.txt”] HTML code[/popup] for you to post on your site. 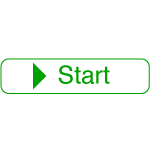 As described in First Things First, this game helps you productively accomplish your tasks. How to play: Organize your tasks based on their urgency and importance. Simply drag the icons (green squares represent priorities, red squares symbolize tasks that should be minimized) to the chart and describe what-to-do items they represent. Here is the [popup url=”/wp-content/uploads/2011/04/MerrillCoveyMatrix-IG2.txt”] HTML code[/popup] for you to post on your site. Play this to make work more fun and productive. How to Play: Drag icons to the chart to show what activities you like/dislike during and outside of work. Happy faces represent things you enjoy while frown daces symbolize what you don’t like to do. Here is the [popup url=”/wp-content/uploads/2012/03/JobOrJoySnippet.txt”]HTML code[/popup] for you to post on your site. Deb Colden’s game organizes your circle of connections and support. How to play: In the “Circle of the Task” place people who can help you accomplish your goal. In the “Board of Directors” place people who will help you no matter what, and on whom you can rely on to provide encouragement and advice. Here is the [popup url=”/wp-content/uploads/2011/12/HTMLCiclesofInfluence_TheGames1.txt”] HTML code[/popup] for you to post on your site. Thomas J. Buckholtz’s games balance logos and pathos to captivate your audience. How to play: Collaboratively place yellow sticky notes on the game board to start the conversation. Move them based on the changes that people make during the game. Here is the [popup url=”/wp-content/uploads/2011/04/2BrainsSnippet.txt”] HTML code[/popup] for you to post on your site. This revolutionary game is based on the article, “Managing Your Innovation Portfolio,” written by Monitor’s co-partners: Bansi Nagji and Geoff Tuff. How to play: Lightbulbs represent current initiatives that team members are working on. The x-axis charts the novelty of the product while the y-axis measures the novelty of the market the product will enter. Players organize their efforts on the chart to eliminate competing developments, provide insight into task allocation, and solidify the overall goal of the project. Here is the [popup url=”/wp-content/uploads/2011/04/InnovAmbMatrix_IGInstantPlaySnippet1.txt”] HTML code[/popup] for you to post on your site. This game was inspired by Mitch Lacey’s book: The Scrum Field Guide: Practical Advice For Your First Year. How to Play: Chart to-do items based on their complexity and urgency. Simply drag the notecard icons to their respective areas of the graph and describe what they represent. Here is the [popup url=”/wp-content/uploads/2012/07/MitchLaceyTeamPrioritization_IGHome2.txt”] HTML code[/popup] for you to post on your site. This game was created by Kimberly Wiefling. Objective: Improve your situation to reach your desired end state. How to Play: Notecards represent an area of concern. Happy faces represent what is working and frown faces signify what is not working. Drag the icons to the chart and describe what they mean. Collaborate to identify how to improve these concerns. Here is the [popup url=”/wp-content/uploads/2012/08/WellbeingNorthStar_Homepage-IG.txt”] HTML code [/popup] for you to post on your site. Scott Sehlhorst, President of Tyner Blain LLC, developed this graph to improve product development by understanding the impact of your product. How to play: Drag the people icons to the chart to organize how they are impacted by your product. These stakeholders can be within the product system, containing system, or the wider environment. Think outside the box to develop your product in a way that will benefit those who are most important. Here is the [popup url=”/wp-content/uploads/2012/08/CustomerCentric_IGHome.txt”] HTML code[/popup] for you to post on your site. Scott Sehlhorst, President of Tyner Blain LLC, developed this game for players to come up with the necessary components of innovation: invention and value. How to play: Drag sticky note icons to the left column and describe what customer problems they represent. Place light bulb icons in the second column to indicate current or potential inventions, and use the sticky notes to describe their values. Finally, combine the inventions with their values to create innovations in the third column. Describe them with the sticky note icons. Here is the [popup url=”/wp-content/uploads/2012/08/InnovationGenerator_IGHome1.txt”] HTML code[/popup] for you to post on your site.